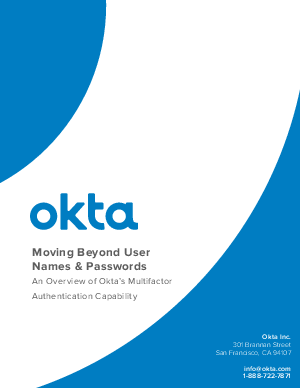 Typical web applications are protected with single-factor authentication: a user name and password. These credentials, in addition to being difficult to manage, leave sensitive data and applications vulnerable to a variety of common attacks. As enterprises adopt more cloud applications, addressing this threat will become critical. Unlike older on-premises applications, cloud applications are accessible to anyone on the public Internet. Multi-factor authentication (MFA) is designed to protect against the range of attacks that rely on stealing user credentials.